Last summer, Gabriela Rojas journeyed to Queen of the Valley Medical Center, located in Napa County, for what should have been one of the best days of her life. After a long pregnancy, Rojas was excited to finally meet her baby boy. But just three days after the birth of Pedro de Jesus Carrera, tragedy struck and Rojas died in the same hospital where her baby was born. She was only 27 at the time of her death. One year later, a medical malpractice lawsuit was filed on behalf of Rojas and her family for the alleged medical negligence by the staff at the hospital. The attorneys representing the family claim that Dr. Daniel R. Hersh, the attending obstetrician at the medical center, provided “substandard care,” which led to the wrongful death of Rojas. The lawsuit, filed on July 17, 2017 in Napa County Superior Court, alleges that several mistakes were made during the delivery that led to Rojas suffering from a pelvic perineal infection. The infection was so severe that she developed sepsis, which is what ultimately ended her life. The lawsuit also names St. Joseph Health Northern California, LLC, the health care delivery system that runs Queen of the Valley Medical Center, as a defendant. The lawsuit alleges that, immediately after the successful delivery of her child, Rojas notified the medical staff that she was experiencing an intense pain in her pelvic region. She was allegedly given pain medication before the staff understood that there was an infection in her pelvis. Rojas was then brought to the Intensive Care Unit at the hospital. It is not clear if any antibiotics were administered, but Rojas’s fever allegedly continued to rise into the early hours of July 19, 2016, until she died at 5:42 a.m. Records also allegedly show that her white blood count was at a critical level at the time of her death. Rojas lived in Napa County, California, where she worked on a vineyard. The law firm representing her parents and 1-year-old child is attempting to secure enough economic damages to support Pedro de Jesus Carrera and his educational endeavors for the rest of his life. 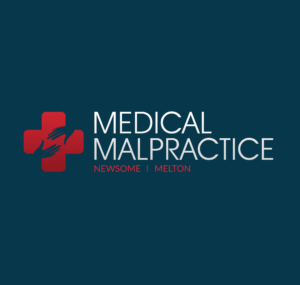 Can You File a Medical Malpractice Lawsuit if a Hospital Visit Makes You Sicker?